The most dangerous part of air travel is the landing and departure, take into account mountain ranges, oceans and cliff and this makes for extreme airports. From airports high in the mountains to airports on an island at sea level all of these have their own set of dangers. Here I have compiled a list of the Top 10 Most Extreme Airports. 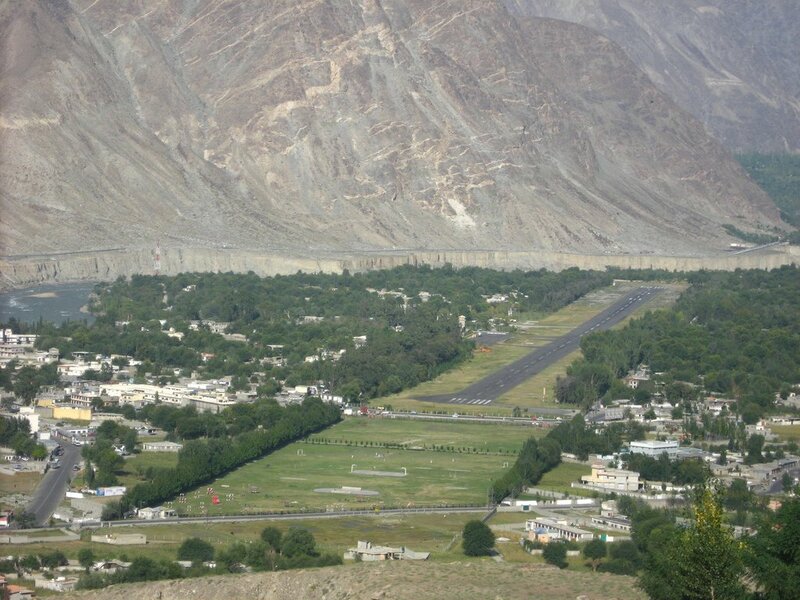 Gilgit Airport is a small domestic airport situated in the Gilgit-Baltistan region of Pakistan. The city of Gilgit is one of the two major hubs for all mountaineering expeditions in the Northern Areas of Pakistan. The airstrip is dangerous as it is in a mountainous area, adding to that is the fact that it is extremely short and at the end of a slope. There have been two major airline crashes at this airport, one on departure and one on landing. 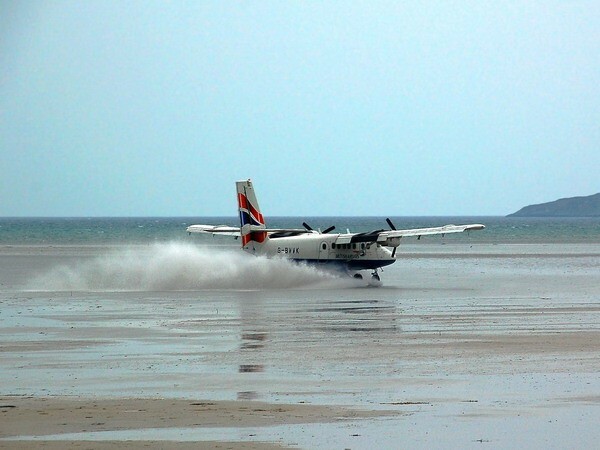 Barra Airport is the only airport in the world where planes land on the beach. BRR is situated in on the wide beach of Traigh Mhor, on Barra island, in the Outer Hebrides, Scotland. The airport is literally washed away by the tide once a day, and if you arrive on a late afternoon flight, you may notice a couple of cars in the parking lot with their lights on, which provides pilots some added visibility, since the airport is naturally lit. There is a sign at the beach which reads: Keep off the beach. When the windsock is flying the airport is active. British Airways is the only commercial airline flying into Barra Airport from Glasgow and Benbecula. 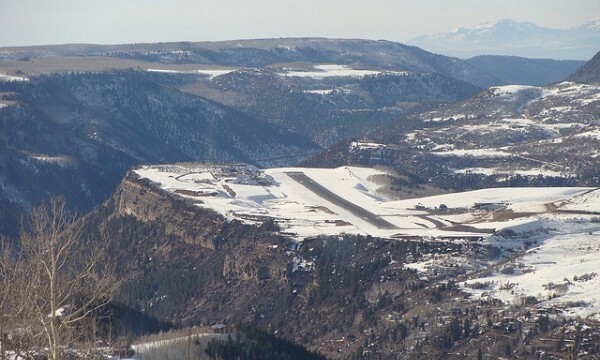 At an elevation of 9,078 feet above sea level, Telluride Regional Airport is currently the highest commercial airport in North America with scheduled flights. The airport has only one runway and it is on a plateau and dips slightly in the center. It can be a challenging approach for pilots. When flying to the Telluride Regional Airport, pilots must be aware of situations surrounding the airfield including high terrain exceeding 14,000 feet (4,300 m), as well as the airport’s location on a plateau with a thousand-foot (300 m) drop to the San Miguel River below. 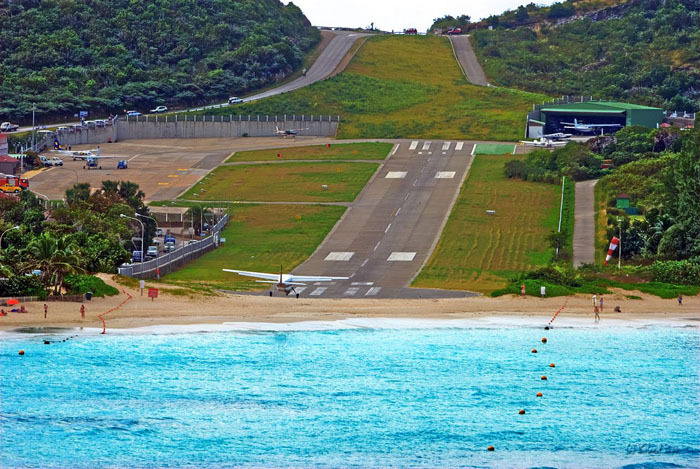 This is a public use airport located in the village of St. Jean on the Caribbean island of Saint Barthélemy. The short airstrip is at the base of a gentle slope ending directly on a small beach. The arrival descent is extremely steep over the hilltop traffic circle and departing planes fly right over the heads of sunbathers (although small signs advise sunbathers not to lie directly at the end of the runway). Gibraltar is a British overseas territory. 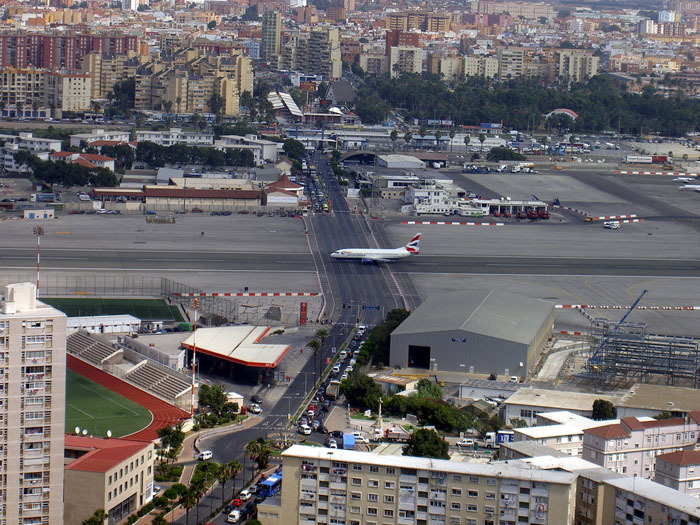 The runway of Gibraltar International airport is owned by the Ministry of Defence to be used by the Royal Air Force. Civilian operators use the airport where passenger depart and arrive through the civilian operated terminal. The most extremely unique feature of the runway is that it passes through a major city street of Gibraltar. When an airplane is landing or departing all traffic has to be stopped to clear the runway. 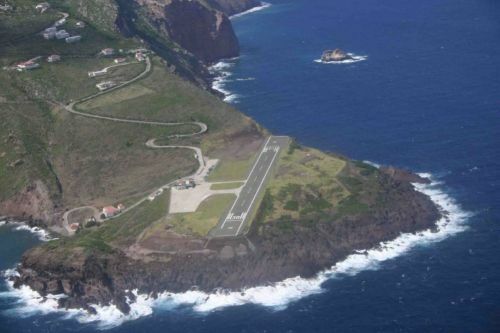 This is the only airport on the Caribbean Island of Saba. The runway is the world’s shortest commercial runway and only approved for three models of planes. The airport has been compared to an aircraft carrier. The runway is flanked by one side by high hills and both runway ends cliff drop into the sea. The only airline currently serving the airport is locally owned Winair , which operates daily flights to St. Maarten and Sint Eustatius. Madeira Airport, informally known as Funchal Airport, is an international airport in the Portuguese archipelago of the Madeira. The airport used to have short runway which, surrounded by high mountains and the ocean, made it a tricky landing for even the most experienced of pilots. 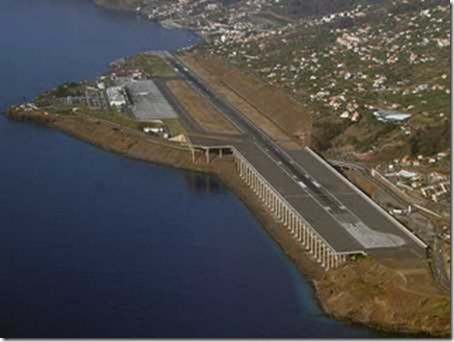 After three major airline accidents, between 1982 and 1986, Madeira’s runway was successfully extended by 200 m (656 ft) to a total of 1,800 m (5,906 ft). In 2000, the runway was again extended, to 2,781 m (9,124 ft), the construction is recognized worldwide as one of the most difficult to achieve due to the type of terrain and orography. Even with these extensions in place the airport is still known as one of the most dangerous in the world. This airport serves the Dutch part of the Island of St. Martin. The airport serves as a hub for Windward Island Airways. 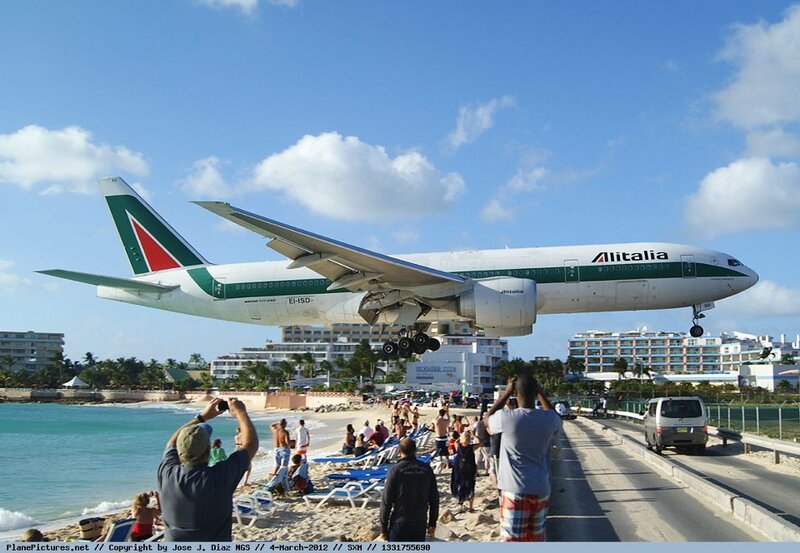 The runway is very short (2,400m), therefore incoming planes approaching the runway must fly extremely low over Maho Beach, just clearing the heads of tourists by 10 – 20 meters. The departure path is just as dangerous with a turn needed to avoid mountains. Being so close to the planes from Maho Beach makes this one of the world’s most famous places for plane spotting. Although there have not been any major plane crashes at the airport many people have been injured due to the blast from the jet engine wash which, when tourists do not heed to the warning signs, sends the tourists flying. 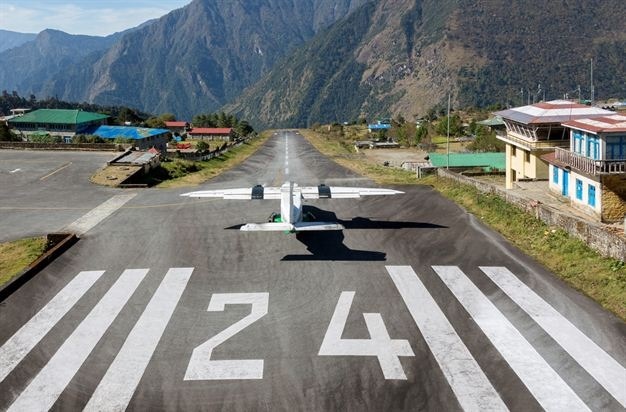 Tenzing-Hillary Airport, previously named Lukla Airport is located in the small Nepal town of Lukla. The airport is popular because Lukla is the place where people start the climb to Mount Everest Base Camp. Flying is only allowed in daylight hours and in good weather. The airport is contained with a fence and patrolled by the Nepali Armed Police. 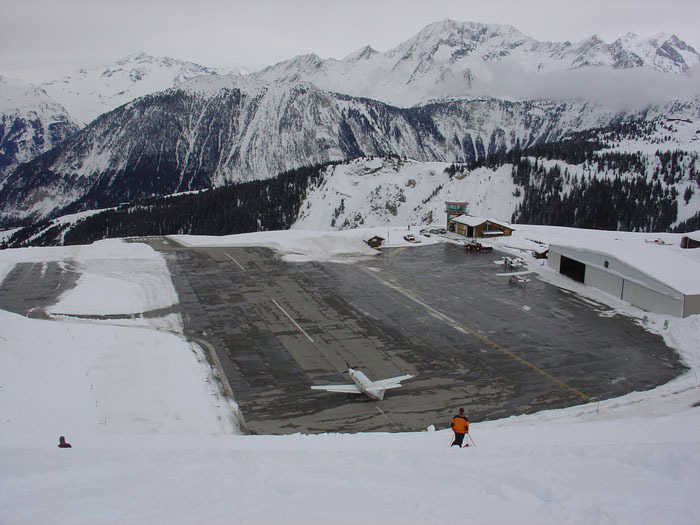 The runway is extremely dangerous as there is high territory to the Northern end and a steeply angled drop to the valley below on the southern end of the runway. There have been numerous plane accidents at the airport.